There are heaps of these guys located all around Rocky, no address required just your eyes peeled. I only took one picture because they’re normal sized bulls! I’m not sure who started the ‘Big Thing’ bull rumour and hopefully I’m not spreading it further :P I hereby remove all Rockhampton bulls from the Big Things of OZ, Big list! 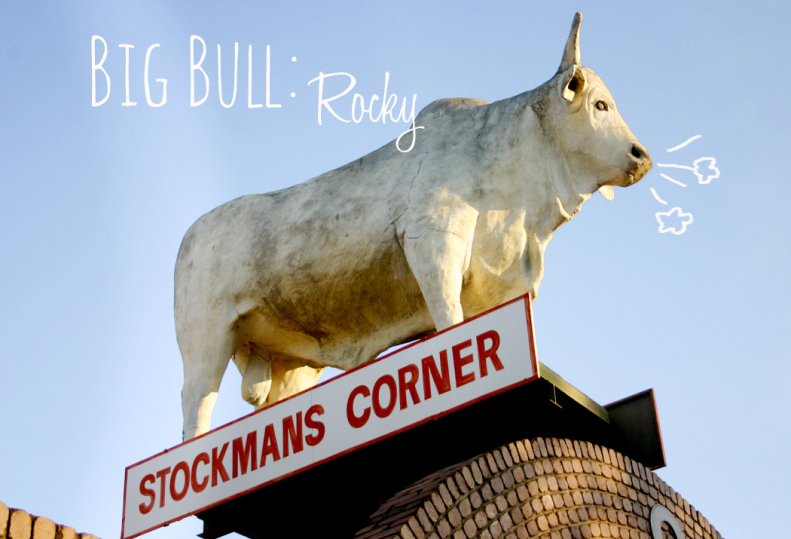 As for a funny fact, the Rockhampton council after constantly having to re-ball the bulls (testicles being a favourite amongst thieves) eventually resorted to bolting them down using metal rods, ouch! Address: All around the township of Rockhampton, QLD.